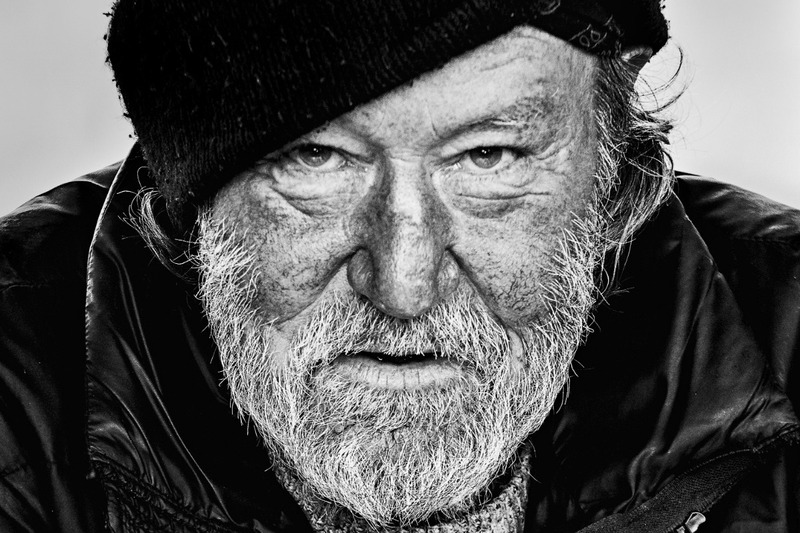 "Facing the Homeless" will be the title of the new photography series. 'Homeless' is a word that gets used so often Humanity have become immune to the real meaning . Those that use the word often forget there are people attached to the word 'Homeless'. They all have a story to tell. Sometimes it is a choice, sometimes it's drugs, sometimes it's a matter of circumstance. We are all one catastrophe away from finding ourselves on the street. So I am attempting to put a face to the word... to personify it, and give it a visceral feel. To meet with these folks in their environment and capture them as they are. As one who spent time on the streets because of financial circumstances in my younger years, this project has a very real impact on me. I have never forgotten what it was like to get enough money to put some hot food in my belly. Nor have i forgotten what it was like to feel absolute and utter despair at the apathy of the world around me, as people walked by without even a second glance in my direction. Monies donated will be used to provide hot meals, blankets, socks, toques etc. to those whom I meet and make images of. The funds will also help me with expenses to get to the places where these folks are living. ~Donations of $40-$70 Dollars will receive an 8"x12" print on Moab Fine Art Lustre Photo paper. ~Donations of $70-$100 Dollars will receive a 12"x18" print on Moab Fine Art Lustre Photo paper.